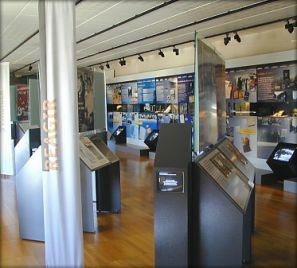 The permanent exhibition, resolutely original and interactive, presents stories, objects, photographs, archives and multimedia tools to enlighten World War II's history and particularly the French Resistance. It is also a way to go through the history of Poitou and Anjou. Structured in 3 phases - react, make a commitment, build a new society - the permanent exhibition suggests several ways around different themes and invites all of us to make notions as 'commitment' and 'resistance' ours. The regional history, rich and specific, is presented to understand the specificities of the Resistance and the region particularities. Along the room, the visitor discovers what life was like for French people during the German occupation. He/She follows the steps of a few of them who began with spontaneous rebellion and then evolved toward an organised Resistance aiming at building a new society. The questions asked all along the exhibition offer a new sight on the Resistance’s history. Men and women, actors of this period, are put at the centre of those questions. 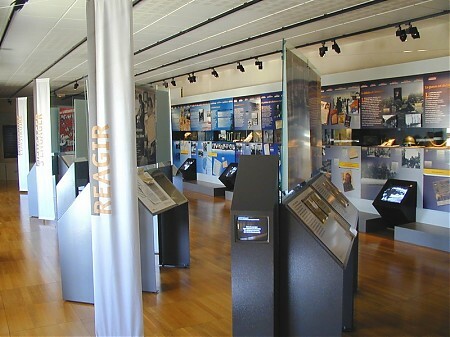 Facsimiles, videos, audio documents provided by audioguides, multimedia screens and a timeline are displayed in the space and enable the visitor to make his own way through the exhibition. Surrounded by photographs and objects that recreate the atmosphere, he becomes an actor of his visit and discovers this “France of the Dark Years” in an autonomous and original way. The visit ends with a contemporanean space dedicated to the Human Rights and how they can be threatened. Some of the major events of the XXth century are mentionned and keys are given to understand and to live our freedom. Do you need information, advise about the organisation of your visit, a phone number to contact us ? How to get to the Centre Régional "Résistance & Liberté" ? Cash and cheque payment accepted. Bi-pass : With this option you can also dicover the exhibition of the Centre d'interprétation Géologique du Thouarsais, on the 2nd floor of the building. Projection of the account of Gérard Pichot concerning his resistance and deportation experiences. Visitors have time to ask questions at the end of the activity. Visit on your own the 2 exhibitions of the Centre Régional “Résistance & Liberté” and of the Centre d'Interprétation Géologique du Thouarsais. How to get to the Centre Régional “Résistance & Liberté” ? 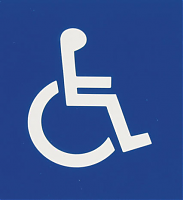 We are accessible for disabled people. Plan your day in Thouars ?